Kevin Liang, 27, was riding on the Kosciuszko Bridge when he was struck by a car changing lanes. QUEENS — An off-duty EMT with the FDNY was killed after being struck by a hit-and-run driver who knocked him off his bike on the Kosciuszko Bridge, according to police. Kevin Liang, 27, was riding his motorcycle east on the Brooklyn-Queens Expressway just before 8 p.m. Saturday when he was hit by the driver of a car attempting to change lanes about midway across the bridge, officials said. He was taken to Woodhull Hospital, where he was pronounced dead. The driver of the car — described as possibly being a dark-colored sedan — then took off, police said. 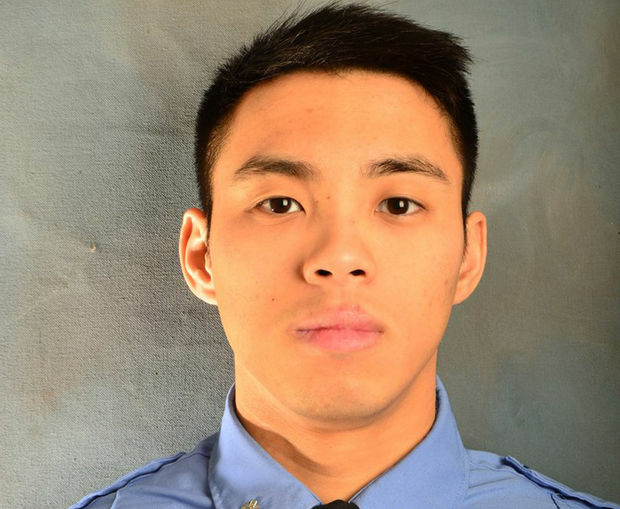 Liang, of Bay Ridge, worked as an EMT for the FDNY for the last three years and was assigned to Emergency Medical Dispatch, according to a spokesperson for the fire department. "We are deeply saddened by the passing of EMT Kevin Liang," Vincent Variale, president of the Uniformed EMS Officers Union, said in a statement. "He was more than an EMT committed and dedicated to serve the people of NYC. He was a man with a beautiful soul who will truly be missed." Mayor Bill de Blasio's office also tweeted about the crash, asking anyone who might have witnessed the hit-and-run to contact the NYPD.